Our valued clients can avail from us quality Electrical Control Panels in different specifications. 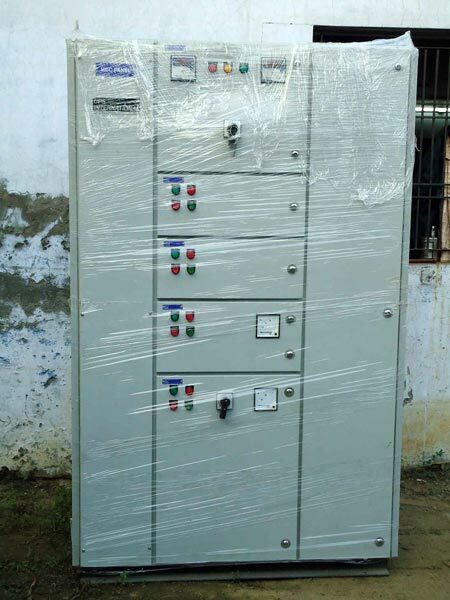 These Electrical Control Panels are used to control the electrical motors in cattle feed industry, poultry feed industry, fish feed industry, wood pellets industry, agro waste industry and many others. These Electrical Control Panels are dust proof and ensure efficient performance.